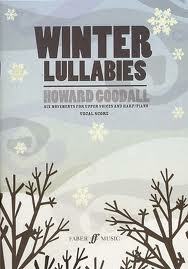 Winter Lullabies is a beautiful cycle of six loosely interwoven movements. Although the story of the nativity lies at the core of the work – celebrating motherhood and the different moods that might be embraced by a lullaby – it also explores associated secular issues of homelessness, displacement and flight, showing the relevance that this timeless story continues to have for our modern lives. The collection uses a variety of sources for its text including a poem especially written for this work by the Irish poet Theo Dorgan – Crossing the border. The collection was first performed in December 2006 at St John’s Smith Square in London by the Choristers of Chirst Church Cathedral Oxford. 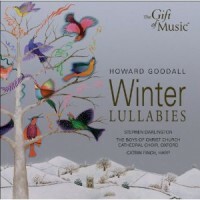 Published by Faber Music in February 2007 (click here for details) and on CD, performed by the boys of Christ Church Cathedral Oxford, directed by Stephen Darlington, with Catrin Finch on harp. Availability: Vocal score 0-517-52841-4 and, harp part 0-517-56929-3 on sale through the Faber Music on-line store.